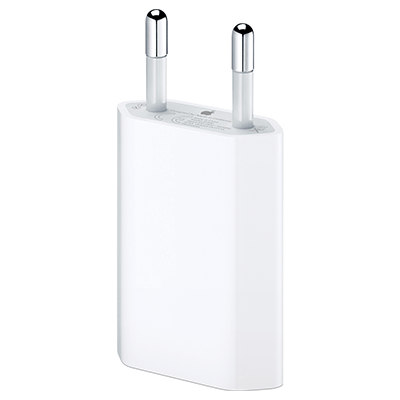 Apples 12w adapter is the perfect iPad charger and makes a faster iPhone charger than the 10w and 5w models? 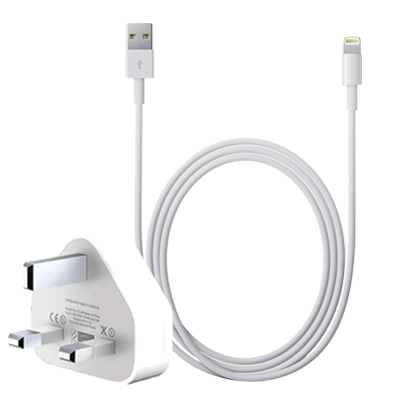 You would have to purchase the plug and cable as seperate items and pay full price for each if you were to purchase from the Apple store but here we have bundled the two items together and discounted the price saving over 50%! 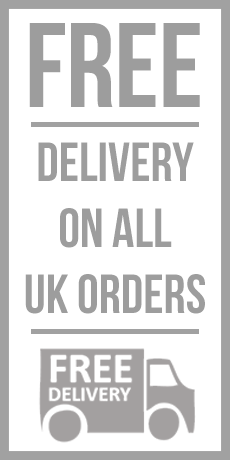 How good is that!? 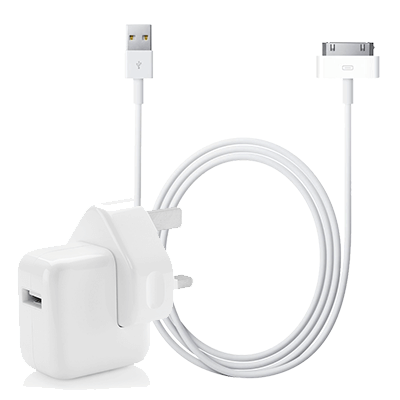 Included in the bundle is an Apple 12w USB Power Adapter. 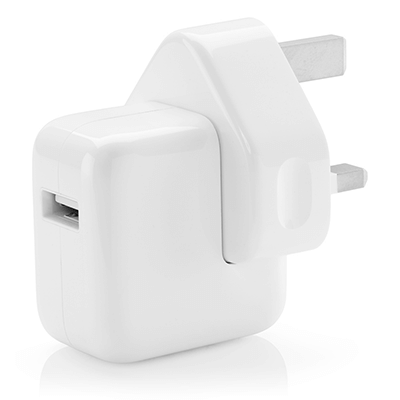 The adapter can be used to charge iPhones and iPads as well any other USB equipped device. 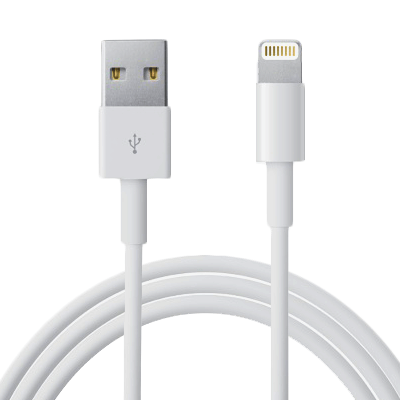 Simply replace the cable via the USB port and off you go! 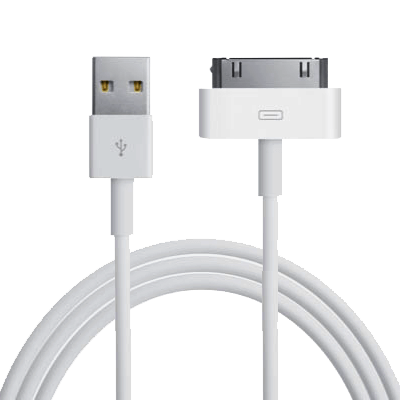 Also included in the bundle is an Apple 30-Pin (Dock) cable which can be used with the included 12w power adapter for charging your iPhone or iPad or can be plugged into your computer for data transferring between devices.